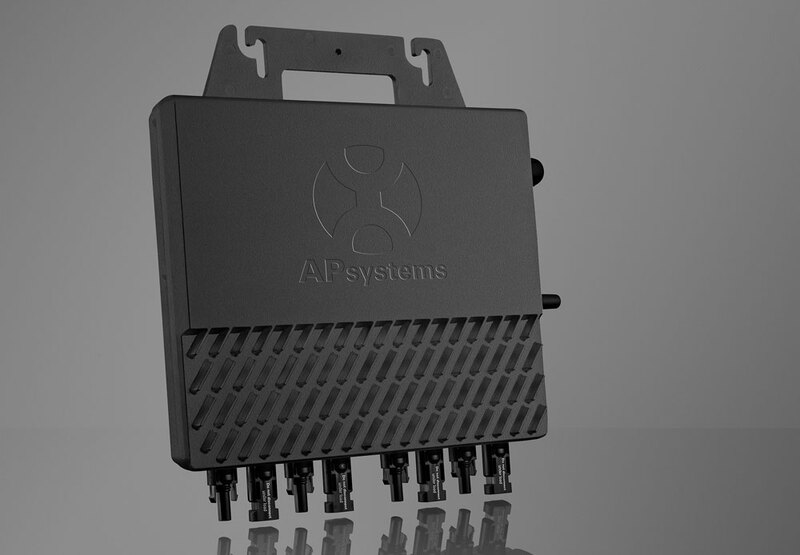 Today’s solar systems require a more robust communication architecture to manage significantly more data points and in-field software updates, and this need was the driving force behind APsystems’s newest microinverter. Despite being the most powerful microinverter you’ll find on the market, the QS1 debuted rather quietly at Solar Power International last year — a debut that even caught director of marketing Jason Higginson off-guard. But hey, when a product is ready, it’s ready. Key to the QS1 development was incorporating a high-speed wireless Zigbee connection instead of Power Line Communication (PLC). The difference is measured in speed of both installation (75 percent reduction in installation time) and data transmission. The QS1 employs high-speed wireless Zigbee, which is up to three times faster than conventional powerline communication (PLC), creating a local 2.4GHz mesh network for fast and reliable data communication between the microinverters and the gateway. The QS1 is positioned to maximize high output PV panels up to 375 W by providing a higher peak output power (a microinverter-leading 300 W AC output per channel) and a wider MPPT voltage range (22V-48V) that allows for bettering tracking and energy harvest during low light conditions of dawn and dusk. 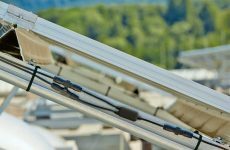 “It also features four individual MPPT so each PV module is managed and tracked separately, which means things that affect a single panel such as shading or debris do not affect the output from the rest of the panel even if they’re connected to the same microinverter,” Higginson says. 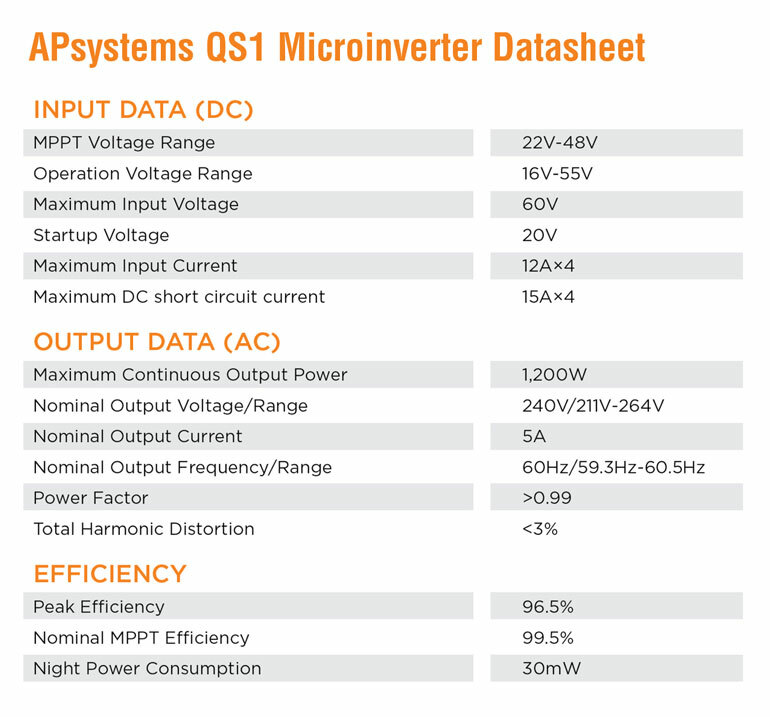 An APststems calling card is reducing the number of microinverter units needed per project. Only one QS1 unit is needed for every four modules (instead of the standard 1:1 ratio) while still providing four independent MPPT. This means fewer units to stock, transport and install while costing less than the equivalent of four individual microinverters. 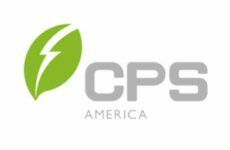 There are shared components that reduce the overall cost per watt by comparison. 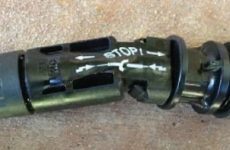 But it’s not all shiny new performance numbers and doodads — APsystems kept the AC trunk cabling common with its dual-module YC600, which adds a hugely important flexible, mix-and-match compatibility on the same circuit to enhance site design capability and maximize circuit capacity. “Using an even number of PV modules is ideal, however, with the APsystems 4-in-1 and 2-in-1 cost advantages, even if there are an odd number of PV modules in the array, leaving one side of a YC600 unused doesn’t significantly impact the cost per Watt of the system,” Higginson says. Both microinverters also utilize the same gateways, so installers can choose the ECU-R for single or multi-residential installations or the ECU-C for applications requiring consumption monitoring and advanced contact/relay features.